Luxe joined our Mission to help provide access to “Clean Water for All by 2030”. This Mission was initiated by the United Nations. A big thank you to Luxe’s team and customers for joining this extremely important mission on 07 December 2017. 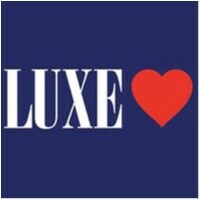 Luxe is perfect coffee, fresh food, fine wine, and artisan baked goods, all made with love. We started in 2003 with a little hole in the wall cafe on level 3 of Westfield Bondi Junction. In 2008, after deciding we weren’t totally happy with Sydney’s bread and pastry supply, we opened our own bakery at Luxe Newtown. The demand was high from the start and the bakery has now outgrown two locations; we’re now baking wholesale out of the Entertainment Quarter in Moore Park. In 2010 we opened Luxe Bar on level 5 of Westfield Bondi Junction. Since then, we have opened our beautiful Woollahra Restaurant and our new Westfield Miranda Store, located on Level 2 in the recently refurbished section.